My mom found this little tasty delight a few years back and it has become a family favorite. And that's saying something coming from a family that prides itself on desserts of all varieties. We're Minnesotans after all, which means we're proud card carrying members of the "we can bake every bar in the book" club. First, preheat the oven to 250 degrees. Next, lay out a sheet of foil over a baking pan. Then, lay out rows of pretzels. I know, I know ... it's getting crazy. Hang with me. Then, enlist your favorite three year old to help you unwrap the Rolos. On second thought, scratch the three year old, and unwrap them yourself. Unless that is, you don't mind half of your Rolos mysteriously disappearing. Heeheee. Okay, we're back on track. 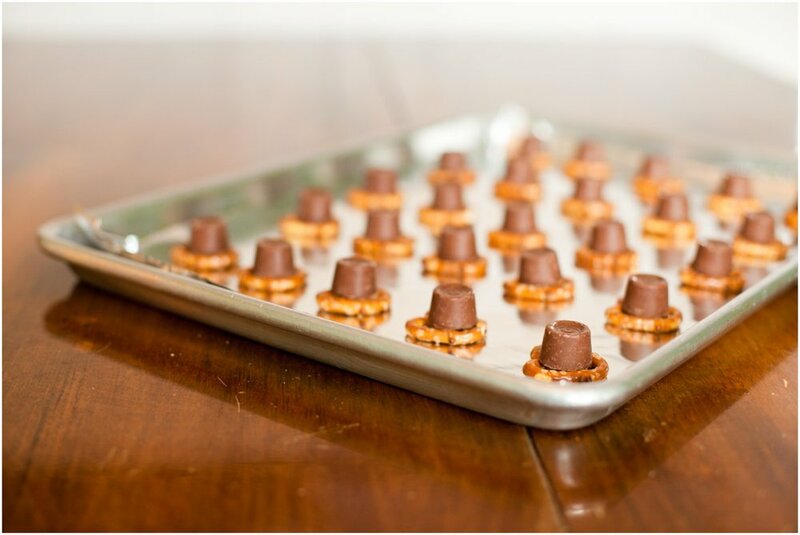 Put the Rolos right on top of the pretzels. Then take the pan and put it in the oven for 2-4 minutes, until the chocolate on the Rolos appears shiny and soft. 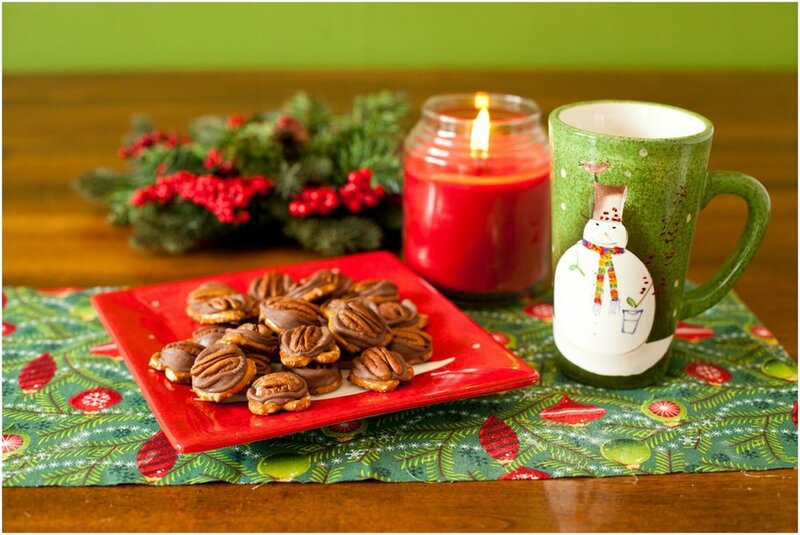 Take out the tray, and push a pecan into the center of each Rolo, pushing down gently so you don't smash the pretzels. Let cool for a couple of hours until the chocolate sets. Easy enough, right? And let me assure you, these ones are a crowd pleaser! Gifts for all the neighbors? Check. Now on to the other 63 things left on my list. Can I get an amen from the choir? Christmas vacation is so close I can smell it. Happy Friday friends!